It’s that time of year again when we can expect to see honey bee swarms. Hives are beginning to get stronger and may soon decide to swarm. We have already seen some swarming and the recent warm spell of weather will contribute to this tendency. 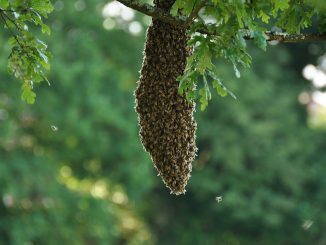 If you are a member of the public and suspect you have a honey bee swarm our volunteer swarm collectors may be able to help. 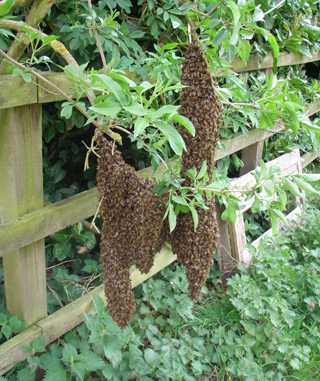 See our pages on insect identification and swarm collectors for assistance.